Vitamin D Supplements | Your Health. Your Lifestyle. According to the Institute of Medicine (IOM) the majority of US citizens have an acceptable level of vitamin D within their blood levels. This was rated at 20 nanograms per milliliter. Even so, there is evidence that levels on closer to 30 nanograms per milliliter or even higher would be more beneficial. At this level, the body would be better able to protect vital systems such as bones and might even be able to lower colon cancer risks as well as other disease. This higher level of vitamin D is also considered safe and can be achieved by taking supplements that contain between 800 and 1000 IU in vitamin D. For those who may have lower levels of vitamin D, 2000 IU of daily supplement may be necessary. The IOM report contained suggestions that certain people (infants who are breastfeeding and especially those of dark skin) are at a higher risk of vitamin D deficiency. The report also suggested that older individuals who may reside in institutions may be at risk as well and should be monitored for any signs of vitamin D deficiency. It went on to say that those who do not eat animal products or forms of diary should consider adding a vitamin supplement to their daily diet to prevent problems with a lack of this important vitamin. It did not, however, go on to suggest or recommend that the population, as a whole, include vitamin D supplements as a daily part of their diet. It also left out certain other groups of people who may be at risk such as those who are obese; those who are dark skinned, or those who simply do not get enough direct sunlight. The main point of the debate concerning the IOM report is that it did include data that was based on research conducted by the National Health and Nutrition Examination Survey that found that nearly 11 percent of white and 54 percent of African-Americans do have levels of vitamin D that are below the minimal 20 nanograms per milliliter. What this means, is that millions of US citizens currently have vitamin D levels that are too low. Ironically, these numbers would be much higher if 30 percent of Americans who are currently using vitamin D supplements were not doing so. The numbers would have been higher as well if the survey has reported on those who live in the Northern part of the US who often have low vitamin D levels during the winter months. The IOM committee did acknowledge that getting a daily dose of 600 IU of vitamin D through consumption of food alone was rare for most people. Their conclusion, even after this acknowledgment, that US citizens are getting what they call the average requirements of this vitamin is yet another reason some debate the report as being somewhat misleading or confusing. One issue pointed out by those who disagree with the findings is that if half the population is just getting the minimal amount of vitamin D, the other half of the population is below that level, which should be a cause of concern. This brings up the question of how people truly do get their vitamin D. The committee suggested that most people get at least some of their D vitamin via direct sunlight exposure. While this may be true, unprotected exposure to the Sun can increase the risk of skin cancer and most medical experts do not recommend this as the best way to get the vitamin. This leads to the problem with the IOM report: If people are not getting vitamin D via diet and should not spend excessive amounts of time in direct sunlight, how should they get the vitamin and why the suggestions that people not use vitamin D supplements? Are High Blood Levels of Vitamin D an Issue? Some of those who are debating the report suggest that the committee overstated its concerns regarding high levels of vitamin D while diminishing the health benefits of the vitamin when taken as a supplement. An example of this was illustrated with the IOM report findings that there is a relationship between high levels of vitamin D and early death. The report focused on cases where the blood levels were above 70 nanograms per milliliter, but the death rates for those cases was reported as being only slight. The committee spent little time on the reverse where studies show that death rates steadily decrease as vitamin D levels increase toward the 40 nanogram per milliliter level. Few people have blood levels of the D vitamin above 40 nanograms per milliliter and as such there is not much data on the death rates of these individuals. Overall, the majority of studies suggest that mortality rates decrease when the blood level is between 40 and 70 nanograms per milliliter. Only a few studies suggest the opposite. In a press release put out by the IOM, they also suggested that other types of vitamin supplements such as beta carotene antioxidants as well as vitamin E were thought to be beneficial to health when they first came out, but were later found to be ineffective in terms of improved health. The basis of their conclusion was thought by many to be flawed in that the studies cited used extremely high dosages of these substances (10 to 20 times more than provided by a regular diet). Vitamin D, on the other hand, is different. Even a small amount of time in direct sunlight can produce as much as the equivalent of 10,000 IU’s. Our ancestors, who spent much more time outdoors and in less clothing than we do, surely had to have high levels of vitamin D in their blood. If one thinks about it, a vitamin D supplement of 1,000 to 2,000 IU a day can be considered a modest dose, and for some people, may be lower than what they truly need. It should come as no surprise that modernday men and women need more vitamin D in order to remain healthy. Consider the International Osteoporosis Federation’s vitamin D recommendations in which they recommend taking a vitamin D supplement in the range of 800 to 1,000 IU’s each day. They report that this level will help most individuals to reach what they consider to be adequate blood levels of vitamin D. They recommend 30 nanograms per milliliter. This is a safe level to take on a daily basis and is much lower than the upper limit of 4,000 IU’s. Most good-quality supplements and multivitamins already contain between 800 and 1,000 IU’s of this important vitamin. Individuals should check their supplements to see that they are getting at least 800 IU’s a day. Those who are “at risk” of deficiency should consider taking 2,000 IU’s of vitamin D. Some individuals may need even more than that. At risk individuals include dark skinned men and women, those who are obese and elderly individuals. Before doing so, discuss the dose and use of supplements with your health care provider. For those who want more information on their blood levels of vitamin D, consider getting a vitamin D blood test. This could be a good idea for those who may be at risk of getting too much vitamin D from the sun. Is it safe to use USANA’s Vitamin D product AND the Essentials or HealthPak? In recent years, many studies have reported that vitamin D deficiencies are surprisingly common worldwide, especially during winter months. As such, many doctors and health professionals have advised supplementing with vitamin D at levels between 2,000 IU and 5,000 IU (where the exact level depends on the individual, his/her location, and health history). 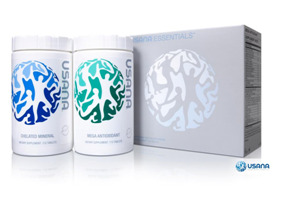 USANA‘s Vitamin D product is intended to supplement the dosage contained in the USANA Essentials and USANA HealthPak for those who require more than what those products provide. Most experts agree that normally healthy individuals can safely take this amount of vitamin D without incident. If you are concerned about adding more vitamin D to the level contained in the Essentials or HealthPak, we advise you to consult with your physician who can order specific tests if necessary. Otherwise, USANA‘s Vitamin D product will be a valuable option for the many individuals who have insufficient levels and cannot get enough vitamin D from multivitamins products alone. Can children use USANA‘s Vitamin D product? USANA‘s Vitamin D product is not formulated or labeled for use in children under the age of 18. While vitamin D supplements can benefit children under certain circumstances, we are unable to make recommendations outside label directions and can only suggest consulting with a child’s healthcare provider for further information. How much vitamin D does USANA‘s Vitamin D product provide? The U.S. Vitamin D product provides 2000 IU (50 mcg) of vitamin D per tablet. The Canadian Vitamin D product provides 1000 IU (25 mcg) of vitamin D per tablet. Why does USANA’s Vitamin D product contain a warning about blood tests? In addition to the standard dietary supplement warning, the warning about blood tests is a general warning added as a precaution. There has never been a clinically documented case of vitamin D toxicity below 30,000 IU. However, the official upper limit for vitamin D is currently set at 2,000 IU, and as a company we feel it is our duty to promote awareness and education among our customers. 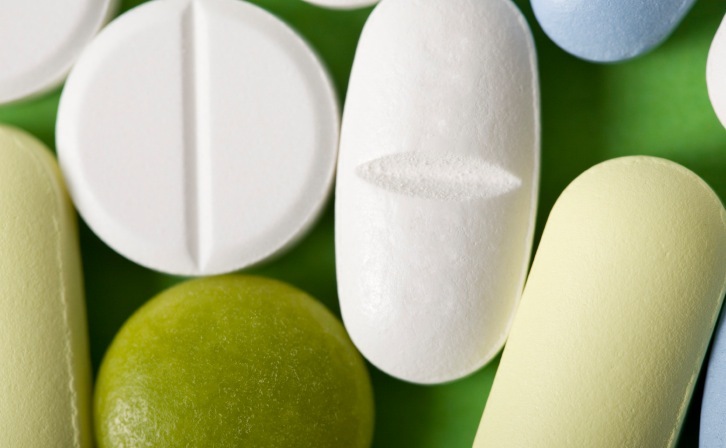 Unfortunately, there are many people who may take dietary supplements without thought of excess or who may not wish to follow label directions. We have included this additional warning because while vitamin D deficiencies are widespread, vitamin D products are not something that should be taken without regard to safety. Why has USANA’s Vitamin D product changed color? Instead of a gray appearance, USANA‘s Vitamin D product tablets are now off-white with possible tan spots. This change is the result of a new supplier for the vitamin K raw material used in this product. No other changes have been made, and the potency is still the same for all active ingredients in the tablet. The change only affects markets that have vitamin K in the product (currently the US, UK, and the Netherlands). Too much animal products and not enough vegetables and sunlight may increase a woman’s risk for breast cancer. A new study suggests diet may be the number one risk factor for breast cancer. William B. Grant, Ph.D., studied the diets of breast cancer patients from 35 countries who had passed away. He found females living in countries with high-fat diets tend to eat more animal products, drink more alcoholic beverages, and eat less fish than women living in countries with low-fat diets. This group of women was also found to produce more estrogen and more insulin-like growth factors, both of which have shown to be strong risk factors for breast cancer. The females in those countries considered to consume lower-fat diets on average eat more vegetable products, which contain many risk-reduction ingredients including antioxidants and phytoestrogens. Fish contains high levels of vitamin D and essential oils and may also reduce cancer risk. Grant’s research also demonstrates a relationship between breast cancer mortality and sunlight. Results show exposure to UV-B radiation, the waves of sunlight that produces vitamin D, significantly lowers the mortality rate among breast cancer patients. In fact, according to study results, breast cancer patients who live in the northeastern part of the United States and in Europe are twice as likely to die than those in the southwestern part of the United States. Thus, Grant suggests adult women in the United States and Europe increase their sun exposure (without burning) and take vitamin D supplements. USANA Vitamins Supplements Vitamin D is formulated with maximum strength vitamin D in one tablet. USANA’S supplement has 2000 IU of vitamin D per tablet. Most people know too much sun can cause skin cancer. However, did you know too little sun may be just as dangerous? A new study shows a lack of ultraviolet B radiation from the sun is a major cause of many types of cancer. After analyzing cancer deaths in 500 areas in the United States, William Grant, Ph.D., from Newport News, Va., determined how many additional cancer deaths are caused each year by a lack of sun. Grant found mortality rates in whites from bladder, breast, colon, esophageal, ovarian, rectal and stomach cancer were twice as high in northeastern states as they were in southern states. Similar patterns were also seen in blacks. After analyzing the data, Grant determined cancer rates were inversely related to the amount of UV-B radiation a population received. From his research, Grant predicts a lack of sun will lead to 85,000 additional cases of cancer this year compared to what would take place if the whole country was exposed to the same amount of UV-B radiation as found in the southern region. He also estimates more than 17 percent of the breast cancer cases and more than 17 percent of breast cancer deaths in the country are related to a lack of UV-B radiation. “The ideal case would, therefore, be to find some way of obtaining the beneficial effects of UV-B exposure without suffering the increased incidence of skin cancer,” writes Grant.